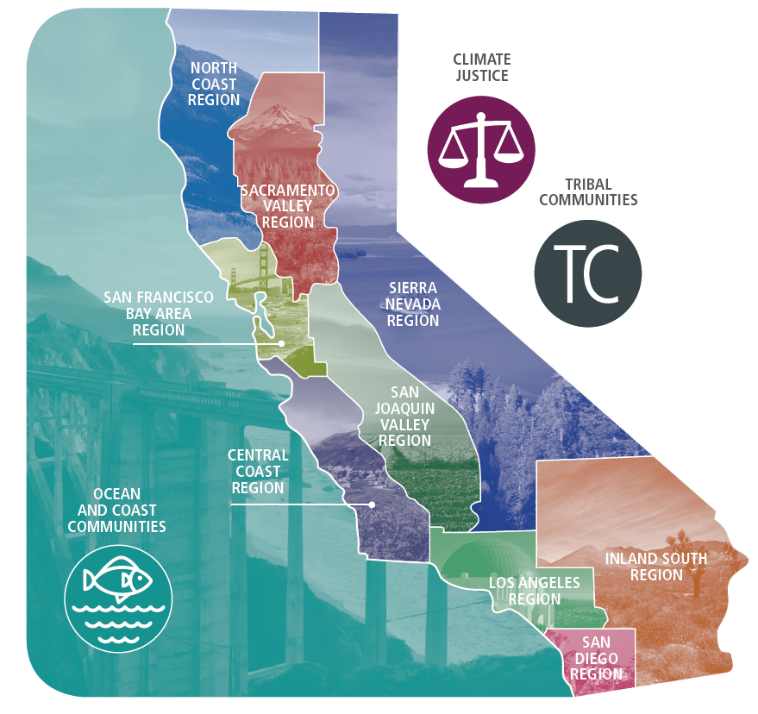 The Wetlands Regional Monitoring Program (WRMP) is convening stakeholders from a broad range of backgrounds and expertise to develop a regional monitoring program plan for wetlands in the Bay Area. This program will help to implement Action 2 in the Estuary Blueprint, and will help local, regional, state, and federal agencies evaluate the effectiveness of efforts to sustain healthy aquatic habitats and resources. If you are looking for the old WRMP site, it has been archived at this link. Steering Committee Meetings: Tuesdays, 10am-1pm, Redwood Room, Bay Area Metro Center, San Francisco. The project is funded by a Wetlands Program Development Grant from EPA Region 9. The Wetlands Regional Monitoring Program Plan development processes is intended to proceed rapidly while gathering input from a diverse body of stakeholders in the Bay Area. The Steering Committee is the largest and most diverse group, and is the official decision-making body. All programmatic elements will be reviewed and approved by the steering committee before inclusion in the WRMP plan. The Core Team is a smaller body that will draft many aspects of the WRMP plan for review, and is responsible for administering the EPA grant funding the WRMP development process. The Science Advisory Team is composed of regional experts on subjects relevant to the WRMP. The members will review and recommend the science content of the WRMP Plan. 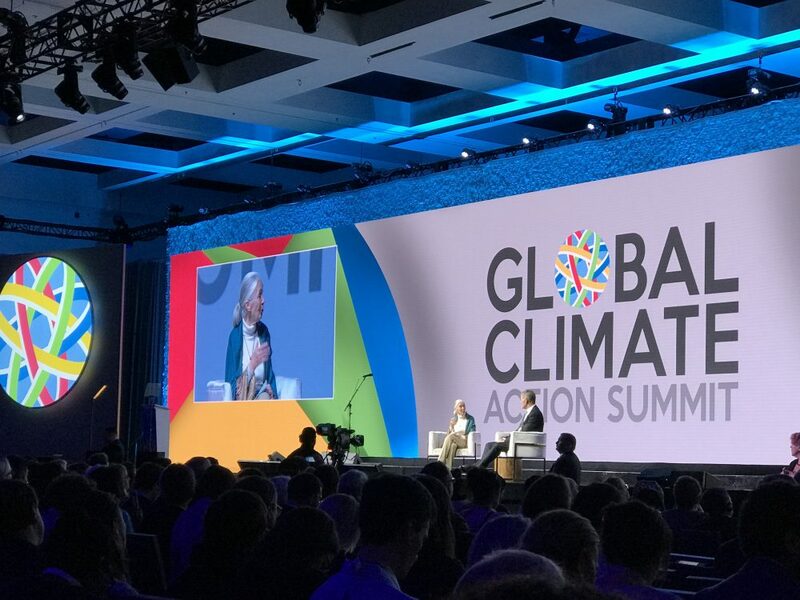 Additional input on the scientific content with be gathered through technical workshops, and plan elements may be developed by ad hoc sub-committees, as needed. 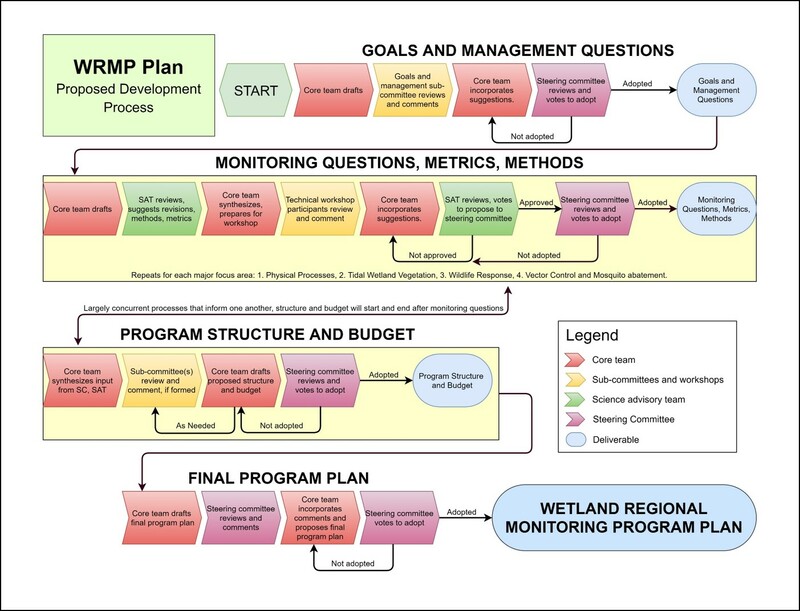 A diagram of the proposed WRMP Plan development process. Click to enlarge. This section will be updated as WRMP-related documents are produced. WRMP Prospectus as distributed to Steering Committee members, March 2018. WRMP Guiding Questions as approved by the Steering Committee May 2018.